Every chainsaw comes with a manufacturer recommended bar and chain oil. Nonetheless, what happens when the oil isn’t available in your neighborhood, or you consider it expensive? The answer lies in improvising and looking for similarly effective chain oil alternatives. However, just like the manufacturer recommended lubricants, alternative oils should be carefully selected to ensure optimal performance as well as maintain the durability of the bar and chain. Before trying out the alternative oils, confirm whether deviation from manufacturer’s recommendations nullifies your chainsaw warranty. This should help you arrive at a more appropriate decision. Slipperiness: A good chainsaw lubricant should be slippery enough so as to prevent tree sap and other debris from attaching themselves to the bar during operation. Stickiness: With a chainsaw running at an equivalent of 45 miles per hour on full throttle, the alternative oil should be sticky enough to stay on the chain. Eco-friendly: The oil should also be environmentally friendly. It should be biodegradable and shouldn’t emit poisonous fumes during operation. While the oil industry isn’t short of different types of oils, the secret here lies in identifying an alternative to bar and chain oil that fulfills these requirements. Here are four suggestions. Motor oil is the most readily available alternative lube available. It also fits the affordability bill, especially because it primarily refers to the already used car oil. However, only the filtered motor oil should be used for bar and chain lubricating alternatives. Therefore, make sure you filter your used car oil before use. If you intend to use motor oil as chain lube, ensure its warm during harvesting as this eases the filtration process that in turn results in cleaner oil. This means collecting it before the vehicle cools down or with a running engine. You should also compare the oil weight with the season in which you intend to use it. The University of Missouri Extension recommends using SAE 30 weight motor oil during summer and SAE 10 during winter. Despite its efficiency and ease of availability, the usage of motor oil hasn’t escaped criticism primarily because of its non-biodegradable nature. Nonetheless, its effects on the environment are negligible. Its benefits regarding affordability and availability far outweigh its shortcomings. 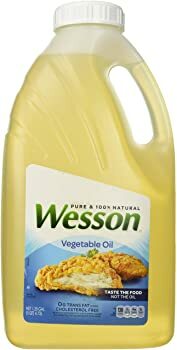 Vegetable oil is also a quite affordable bar and chain oil alternative. Additionally, vegetable oils maximize on most of the motor oil faults as an ideal chainsaw lubricant, For instance, vegetable oils are biodegradable and, therefore, environment-friendly. They also come in handy when the occasion calls for the use of a chainsaw in a hygienic environment. What happens when you have to quarter a deer or lamb? You certainly can’t use the motor, or the manufacturer recommended chain oil. Plus compared to motor oil, vegetable oil are also easy to clean from your clothes as it doesn’t stain. The only drawback to using vegetable oil as an alternative lube for chain oil lies in its ineffectiveness during the cold season. Canola oil shouldn’t be confused with vegetable oil. 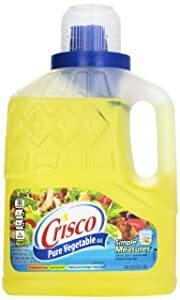 Unlike the ordinarily categorized vegetable oils that are majorly made of extracts from a mix of plants, canola oil is exclusively extracted from rapeseeds. Canola oil is also thinner and more versatile. In the recent past, the oil has been used to substitute different types of oils such as the two-cycle oils, engine oils, and grease. The case is no different from its use as a chainsaw parts lubricant. 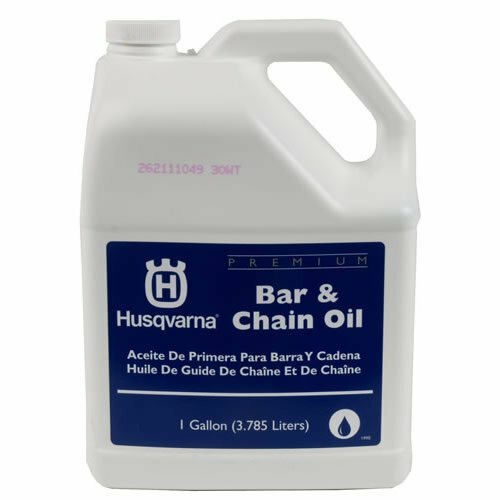 The oil serves as a natural substitute for the chain and bar oil. Unlike the vegetable oils, canola can withstand low temperatures. It also has low vapor pressure meaning it produces relatively minimal fumes that aren’t life-threatening if inhaled. You will also note that canola oil isn’t much different from the skin oil produced by humans. This means less skin irritation than that caused by motor and regular vegetable oil. 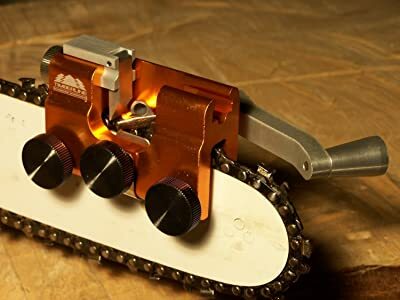 Just like the motor oil alternative, most people have resulted to the substituting the chainsaw’s bar and chain oil with the more affordable and readily available hydraulic fluids. Such fluids have all the functional capabilities of used motor oil. The fluid also shares in its impacts to the environment. Nonetheless, unlike the motor oil, hydraulic fluids are considered less viscous. This means it dries up faster than the rest of the alternative oils. You, therefore, have to mix it up with a little bit of the recommended chain oil to make it tackier or end up using lots of it even for simple tasks. The cost-saving benefits associated with using the different alternative bar and chain oils have drawn more chainsaw owners into using the oils. But the last thing anyone needs is to lose the durability of their chainsaws to these oils. It is, therefore, important that you ensure these substitutes resemble the original oil as much as possible regarding viscosity and general lubrication abilities. For instance, always make it a point of checking the level of vegetable and canola oils before using the saw as they leak constantly. For the motor and hydraulic fluid, consider adding a little original bar oil to make them more viscous or regularly oil the chain and bar. 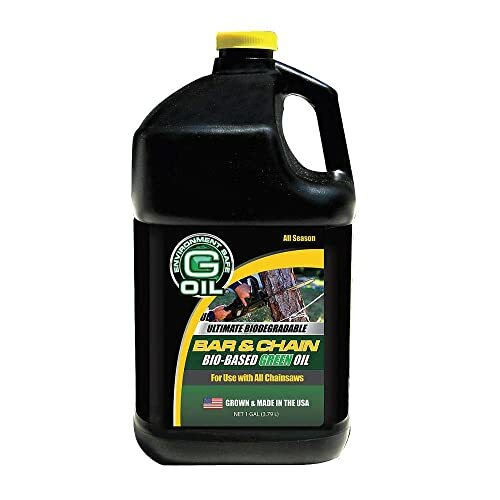 Before settling on a particular substitute for the bar and chain oil, compare its lubrication power and eco-friendliness to that of manufacturer recommended oil. While the motor and vegetable oils, as well as the hydraulic fluid, have proven to be effective chain oil alternatives, some still require little modification before use. If you seek to save both the money and the saw, you either have to commit to using more oil or complement it with other additives to attain the original bar oil characteristics. Plus beware that use of alternative oils may void your warranty claim.